Bloom Filters: Is element x in set S? The idea of Bloom Filter was conceived by Burton H. Bloom in 1970. In a nutshell, Bloom filter is a space-efficient probabilistic data structure normally used to check for set membership (i.e. Is element x in set S?). 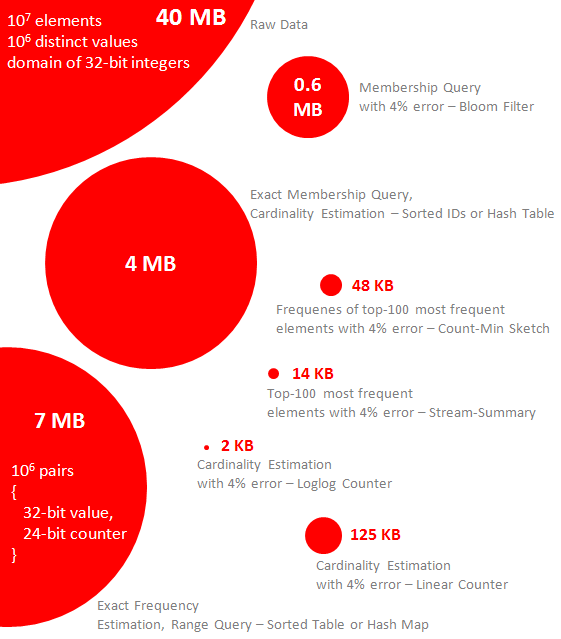 Bloom filter offers incredible memory and run-time savings for set membership queries with a small margin of error i.e. false positives. Bloom filter is used extensively in a variety of domains including implementing distributed system algorithms. There are over 20 variants of Bloom filter and these variations include additional capabilities such as counting, deletion, popularity awareness, false negative, and output type (boolean vs. frequency). Just to note, standard Bloom filter is susceptible to false positives, but not false negatives. In this article, we will discuss the basics of Bloom filter, different use cases, various considerations, important variations, lastly implement a Python/Go version of standard Bloom filter. For now, in this article, we will focus on Bloom filter but we will discuss the other use cases of Probabilistic data structures in upcoming posts. Some really interesting use cases of Bloom filters is listed below. This is not a comprehensive but gives a good idea about the type of problems can be solved by applying Bloom Filters. Bm represents a bit with index m where m ranges from [0, M − 1]. Bloom filter is then parameterized by a constant k that defines the number of hash functions. Then each hash function h0, h1,. . . , hk-1 maps an input element to an index in the range [0, M − 1]. Only insert (or add) and query operations are permitted. Delete or remove operation is not allowed in standard Bloom filters. During insert or add operation, for each element si in the set of all elements S, the bits with positions h0(si), h1(si), . . ., hk-1(si) are set to 1. Any given bit may be turned on multiple times. Data: si is the element to insert into the Bloom filter. To query for an element in the set, pass it to each of the k hash functions to get k integer array indexes. If any of the bits at these indexes are 0, the element is definitely not in the set. If all of the bits are 1, then either the element is in the set or the bits were coincidentally set to 1 by hashes of other elements, resulting in a false positive. Data: x is the element for which membership is tested. The Bloom filter illustrated below consists of a 32 bits array. Three elements have been inserted in this filter, namely x, y, and z. During the insert, each of the element has been hashed using 3 hash functions ( h1, h2 and h3) to bit indexes of the array. The corresponding bits have been set to 1. Now to query an element w which was never inserted in the bit array, element w will be hashed using the same three hash functions into bit indexes. In this case, one of the indexes is zero and hence the Bloom filter will report correctly that the element is not in the set. As you can see bit there is collision or overlap between various elements. For instance, x and y in below illustration share bit array index 6. As we insert more elements in this bit array, this overlap will increase resulting in possible false positive results. This happens when we are querying for an element which has been not inserted but due to overlapping nature of bit indexes query function matched corresponding k bits - all non-zero. In the next illustration, we have Bloom filter with 16 bits array. MD5, SHA1 and CRC32 are used a 3 hash functions h1, h2 and h3. Four elements a, b, c, and d were inserted in the filter. After this, indexes 15, 14, 13, 10, 9, 8, 7, 5, 3 and 1 are set. Moreover, indexes 8 and 3 have collisions. When we query for q and z, the same hash functions are used. Bit indexes that correspond to q and z are examined. If the three bits for an element are set, that element is assumed to be present. In the case of q, position 0 is not set, and therefore q is guaranteed not to be present in the filter. However, z is assumed to be present since the corresponding bits have been set. We know that z is a false positive: it is reported to present though it is not actually inserted into the filter. The bits that correspond to z (positions 15, 10 and 7) were set through the addition of elements b, y and l.
In order to have a fixed false positive probability, the length of a Bloom filter M must grow linearly with the N number of elements inserted in the filter while keeping the number of hash functions k constant. A Bloom filter B requires space O(n) and can answer membership queries in O(1) time where n is number item inserted in the filter. Although the asymptotic space complexity of a Bloom filter is the same as a hash map, O(n), a Bloom filter is more space efficient (see a more detailed comparison here). The hash functions used in a Bloom filter should be independent, reproducible, uniformly distributed, and as fast as possible. That said, hashing is generally slower process especially when utilizing cryptographic hashes such as MD5, SHA, etc. Reducing the number of required hashes can help to speed up the hashing process. Kirsch et al. 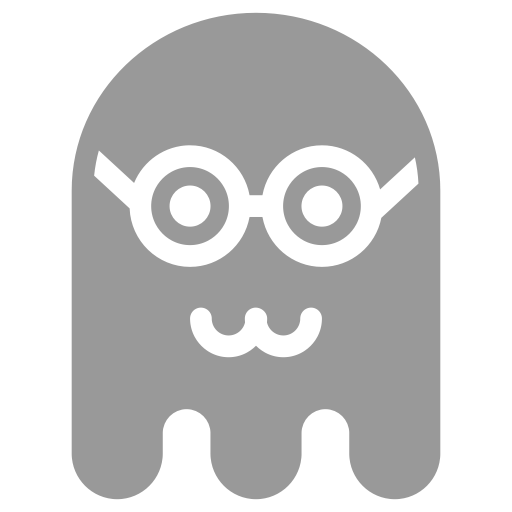 demonstrated that only two hash functions are necessary to effectively implement a Bloom filter without any increase in the asymptotic false positive probability. This technique is known as double hashingv and it utilses two hash functions h1(x) and h2(x) to simulate additional hash functions of the form gj(x) = h1(x) + jh2(x). Mapping output of a hash function to a bloom filter bit index requires some work. Generally, we can use the modulus (%) operator to get our bit index. For instance, you can use something like hj(x) % M where M is the number of bits in your bloom filter and hj(x) is the hash function. We defined our Bloom filter with given number of bits (Mbits default to 11) parameterised by 2 hash functions _h1 and _h2. Hash functions _h1 takes a bits array as input and returns a new bit array created using odd numbered index bits. Hash functions _h2 takes a bits array as input and returns a new bit array created using even numbered index bits. """A simple BloomFilter applicable to a set S of ints"""
returns a new bit array created using odd number index bits of x.
returns a new bit array created using even number index bits of x. We added a new function to generate k hash values based on only two universal hash functions as base generators. We updated the BloomFilter class for constructor method which now accepts the number of hash functions. We added a function to calculate the false positive probability using parameters M, N and k.
We added a function to calculate the size of Bloom filter in bits and compared with the size of the set S.
Now let's use a proper hashing function so this Bloom filter can support any data type - not just integer. We are going to use standard Python hashlib module and use hashing algorithms SHA256 and SHA224 instead of our own odd/even bit logic. We replaced hash functions _h1 and _h2 with _sha256 and _sha224 respectively. We converted input element to string first then encoding, applying hexdigest, and finally, we converted into int. Takes any value x as input, applies SHS256 hash function and returns an int. In this article, we discussed basics of Bloom filter. We mainly covered standard Bloom filter including some really simple implementations using Python. We lightly touched on the application and variations of Bloom filter which we will cover in upcoming posts. What it means for a machine to learn or think like a person?